Second Hand Cars Oakville – Budds’ BMW Oakville. 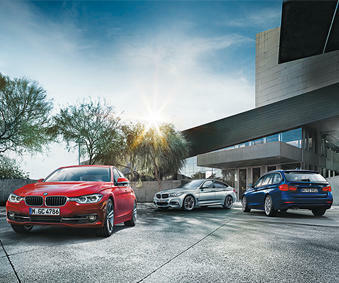 Buying second hand cars Oakville has never been easier at Budds’ BMW Oakville. New cars smell great, but how much is that scent really worth? Other than you home, your car is probably the next biggest investment you will make in your lifetime. If you have the mindset of managing your finances very carefully, buying a brand new car may not be the route you want to go. This is why looking into second hand cars Oakville can really benefit you. It’s not just the sticker price of new vehicles that could be viewed as a waste of money, it’s the other hidden fees that go along with it like associated fees, subsequent costs, and of course depreciation value. These costs add up to thousands of dollars over the first few years of your new car ownership, and can really leave a bad taste in your mouth if you are thinking of purchasing a vehicle brand new. Purchasing second hand cars Oakville from Budds’ BMW Oakville can actually save you money, and we have included a few reason on how. Lower Price Tag, Less Depreciation. With depreciation being true on new vehicles as soon as you drive them off the lot, second hand cars Oakville give you a better bargain. Would you rather be the first owner of a new vehicle that loses $12,000 or $13,000 after the first couple years of ownership, or be the second owner on that car that saves that much? It’s a very interesting question to ask yourself when you are considering second hand cars Oakville from Budds’ BMW Oakville. When you buy second hand cars Oakville, you will still experience depreciation, but it will be more gradual as opposed to the initial hit the first owner took on the vehicle. Useless Extras on New, Cheaper Features on Second Hand Cars Oakville. Dealerships will tend to add additional dealer options like a pinstripe, or anti-rust coating, or a protective film for your glass, but these options jack the price up on new vehicles, when you can purchase second hand cars Oakville for cheaper and add those options by a second party later even cheaper than the total cost for the new car. In other words, if you are looking for a second hand vehicle with features you want like navigation or a sunroof, you will be paying less for those features than the original driver did. All of Budds’ BMW Oakville second hand cars Oakville go through inspections and tests to make sure they are tip top form to be sold to our valued customers. The condition of our second hand cars Oakville is very important to us, we want you to be proud of the vehicle you have chosen. Searching for second hand cars Oakville has never been easier at Budds’ BMW Oakville. Our inventory is huge, and our representatives are here to help you get behind the vehicle of your dreams. Please feel free to come into our dealership, or you can contact us via phone or email.